These 8" Glow Bracelets are a part of our 12 HR line which have a larger glow liquid content which results in a brighter and longer lasting glow! 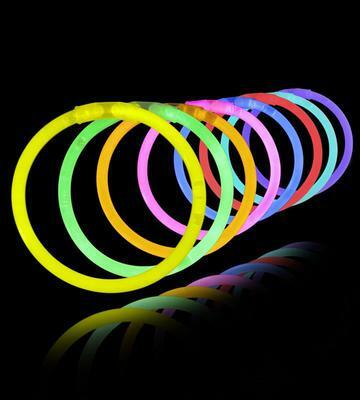 With this fun pack of assorted 8" Glow Bracelets, you get 100 glow bracelets in a mixture of the most popular colors available: Glowing Blue, Green, Pink, Red and Yellow. Wear this bright glowing bracelet around your wrist or string them together for impressive glowing decorations and really light up the party! 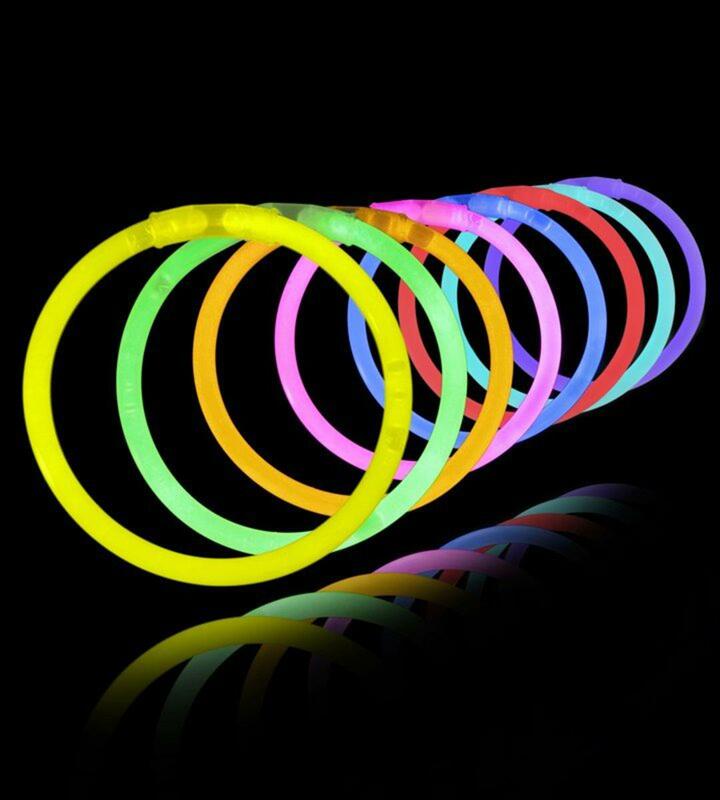 Our 8" Glow Bracelets are huge sellers for fundraising at school dances, concerts, theme parks, fairs and special events! 5 Different Colors - All inside One Tube of Glow Bracelets! Our 8" Glow Bracelets can be custom printed! Our high quality Glow Bracelets can be custom printed directly onto the bracelet. Click here for more information.